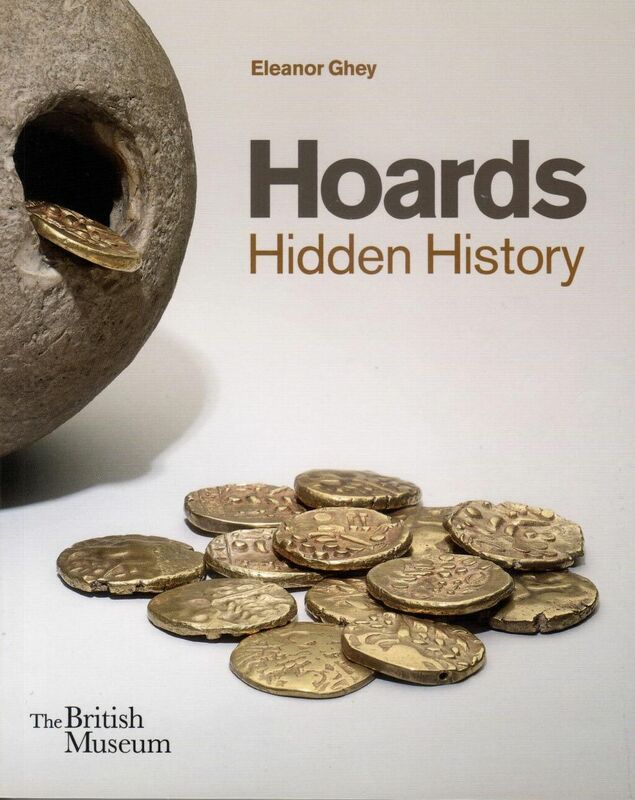 In her section on studying hoards Ghey reminds us: 'Archaeologists have come to realize that the key to understanding a hoard is usually held not in the group of objects itself but in its context, that is, the information held in the soil immediately around it and the evidence for human activity in the wider landscape' (p. 14). Her emphasis is one that should not be overlooked in the discussion over the use of metal-detecting. There are four main chronological chapters: Prehistoric, Roman Britain, Anglo-Saxon and Viking, and Medieval and Modern. There is a discussion of the notorious Salisbury Hoard (pp. 34-35): 'the hoard was illegally excavated by metal-detectorists and sold to dealers; it had to be pieced together after much detective work by the British Museum and the police'. There is no mention of the Lenborough Hoard and its removal from its context. I had missed this new reference. Thanks for calling attention to it!